This concept is so simple yet so breathtakingly clever when you watch it in action. 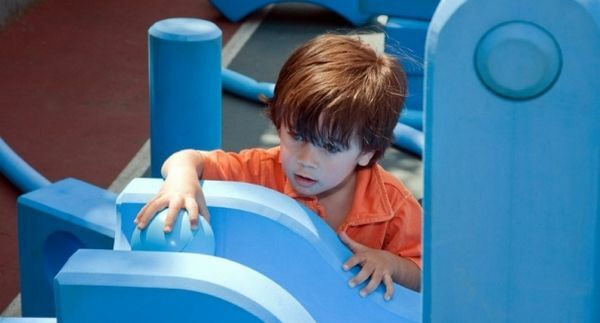 Imagination Playground is a new take on the traditional playground. Conceived and designed by American architect David Rockwell, Imagination Playground aims to encourage child-directed, unstructured free play – no two visits to this playground are ever the same. Giant foam blocks, mats, wagons, fabric and crates provide the starting point and from there, children can build whatever they imagine. When you see the space in action you truly appreciate the teamwork, logical thinking and creative thinking at play. Add sand and water and I suspect you’ll never be able to tear kids away from the fun. The portability of the playground is also impressive, particularly when you consider the opportunities to move it around big cities, schools and to festivals and events. 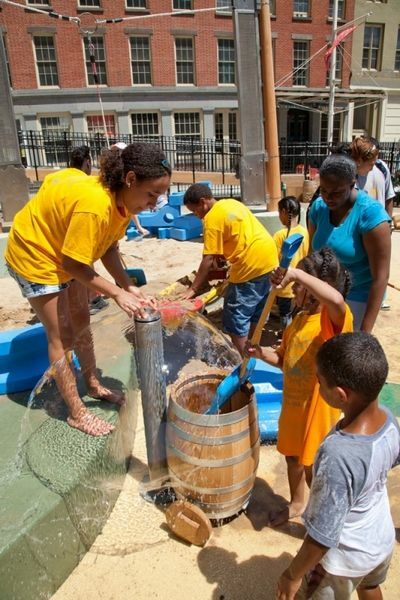 As well as the portable playground, the first Imagination Playground Park opened in New York City last year. 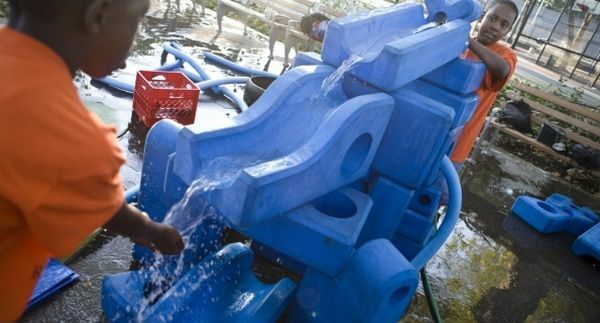 The Park has a number of fixed elements such as ramps, a sandpit, cascading water channel, rope climbing structure, pulleys and a ‘listening forest’ as well as lots of loose parts for building and creating – burlap bags, buckets, spades, brooms, carts and fabric are plentiful for kids to enjoy. There are lots of videos of Imagination Playground in action and we’ve included one below to show you how it works.